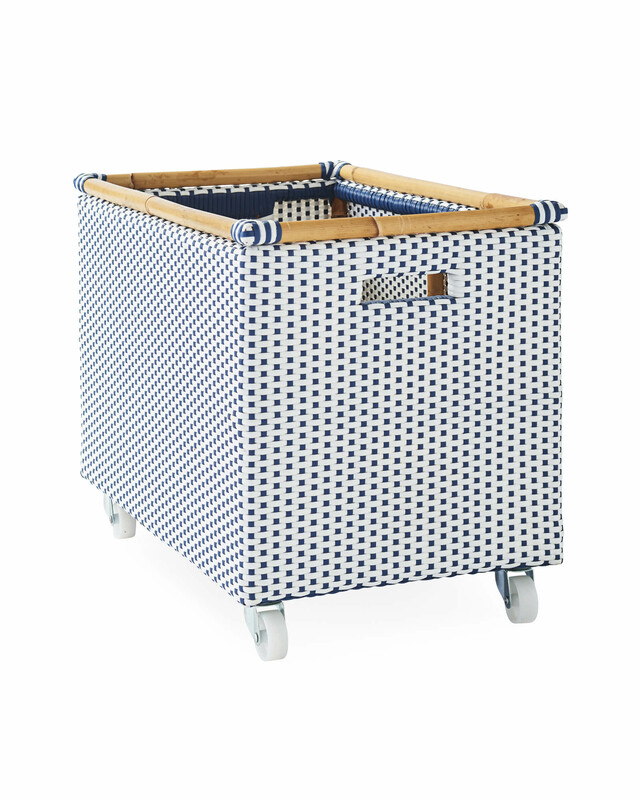 Riviera Rolling StorageRiviera Rolling Storage, Navy alt="Riviera Rolling Storage, Navy"
Print All the design details of our beloved bistro chair, reimagined as an easy-rolling bin for stylishly stowing laundry, blankets and bigger toys. Handcrafted with a sustainable rattan frame and woven plastic sides, it looks just as good tucked away or on full display. Coordinates with other pieces in our Riviera Collection. Woven plastic base with a sustainable rattan border. Low Bin: 22”L x 14”W x 17”H overall. 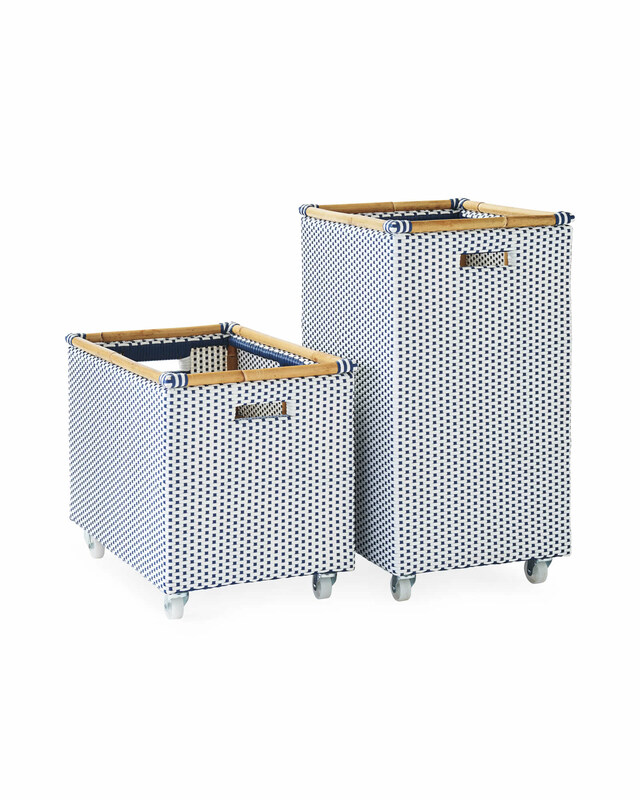 Tall Hamper: 17”L x 14”W x 27.5”H overall.